One of my classes this semester deals with telecommunications policy in the USA. 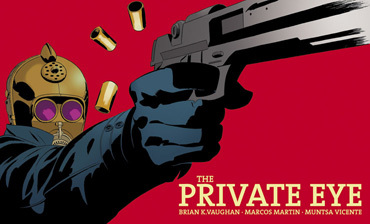 Now, even though I am late to the party on The Private Eye, I spent an evening devouring all ten issues of the digital comic book series this week. I was pleasantly surprised to discover it deals with many of the concerns we have discussed in the telecom class. Our first discussion centered around two articles on mobile apps that either lack adequate security or mine your device for your personal data and contacts. 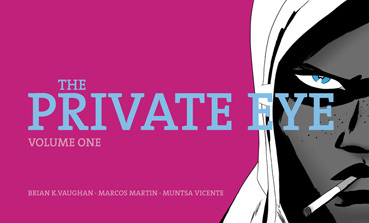 The Private Eye series addresses relevant privacy and intellectual property concerns not just in its content but in its form. 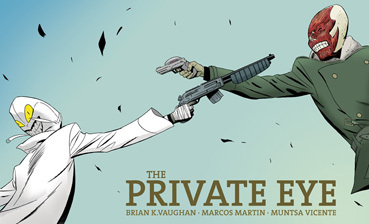 It comes to us from author Brian K. Vaughan (who wrote such critically acclaimed series as Y: The Last Man and Ex Machina, and wrote for the TV show Lost for a time) with art from Marcos Martin and Muntsa Vicente. 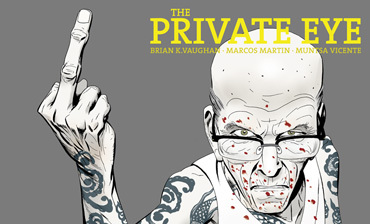 It is available at http://panelsyndicate.com/ as ten individual issues and now in two 150-page volumes which collect the complete story. First, the content of this science-fiction/mystery adventure deals with privacy and the internet. It proposes a future where all the information people stored about themselves in “the cloud” was exposed through an event called “the flood”. Dialogue reveals that making people’s search histories public destroyed their lives. As a result, the internet exists no more, and people are quite paranoid about protecting their privacy. Just as people do today in online forums and multi-player video games, people in this future use physical costumes and fake names to mask their identity and explore their fantasies, sexual kinks, and other aspects of identity they want kept private. Photographing people without their consent has become a crime, a crime the story’s hero commits for cash as a private investigator. The story’s villain wants to [spoiler alert] bring back the internet. But besides the privacy conflict at the story’s center, the distribution of this series also ties in with concerns about copyright, digital rights management, and the ease of sharing content through the internet. The series is only available digitally, and it is sold on a “pay what you can” basis. Readers choose their own price, even if that price is zero dollars. This addresses the sales problem of digital content: How do you get people to pay a specific price for digital content when it is so easily downloaded and shared among users? Here, there is no problem. If people cannot or do not want to pay, they can still get the series directly from the creators without skirting the law, and those who can afford to support the work can choose to do so. The download files, made available upon payment, are given free of Digital Rights Management, a system of protecting copyrighted and trademarked works which has proven problematic for users and courts. Recent headlines have shown how silly DRM takedown requests can get, with Forbes reporting in August that “Columbia Pictures, the studio behind the critically-panned movie Pixels, has succeeded in getting a number of utterly unrelated videos pulled from Vimeo – but the only actual footage from the movie to be taken down is Columbia’s own official trailer.” DRM takedown requests have become the occupation of lawyers who can file them without any actual investigation, leading to such ridiculous outcomes as random videos that mention the word “pixels” in ways unrelated to the film having been forced offline. Headlines in August also revealed UK legislation which is so technologically mis-informed that it would criminalize making a back-up copy of your own mp3 music files library. The creators of The Private Eye have sidestepped this nonsense and simply made their files available without DRM restrictions on the files. 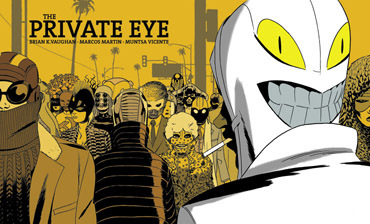 The Private Eye, besides being an excellent and entertaining read, highlights the growing divide between how large, institutionally entrenched corporations are dealing with these concerns compared to the way independent creators are looking for new and more flexible solutions. 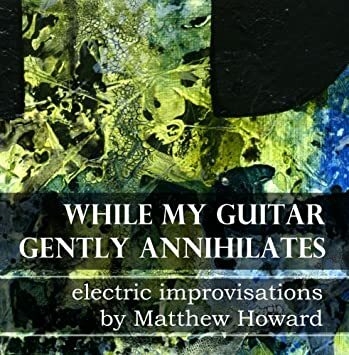 This is taking place alongside a surge in advance sales (such as Michael Gira’s band Swans releasing limited-edition, handmade concert recordings to fund the production of upcoming studio albums) and crowdfunding platforms like Kickstarter which help secure funding before a project is finished rather than trying to control “piracy” after the fact. These solutions favor creators who understand the unique technological environment of our time and want to maintain creative control without resorting to the cumbersome and ill-advised measures favored by the industry giants, their lawyers, and our legislatures. 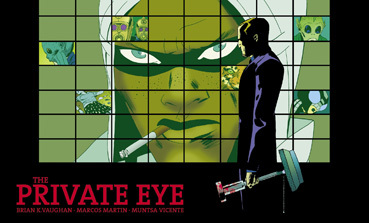 To close on a visual note, I especially appreciate that The Private Eye is the first digital comic I have seen which looked awesome on my monitor due to the horizontally wider aspect ratio. Comics made at the right aspect ratio for print just never look as great on my screen. I have to zoom in to read the text, and thus can’t see the whole page at once, which is part of the joy of comics. The Private Eye fixes this beautifully and lends itself to creative page layouts that take full advantage of its aspect ratio. 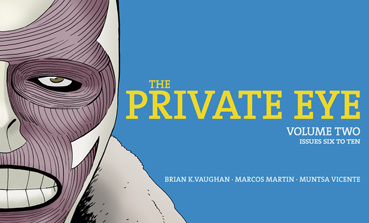 Go pick up the two collected volumes and pay what you can! No DRM, no encryption, just plain files optimised for on-screen reading. Available in English, Spanish, Catalan, Portuguese & French.